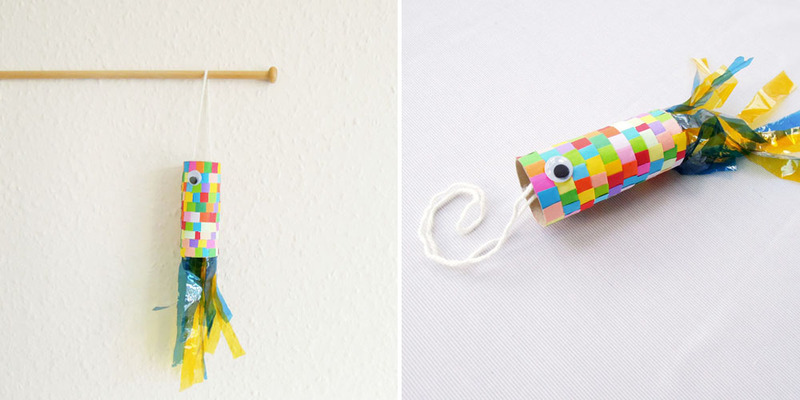 Sprout makes : toilet roll fish! 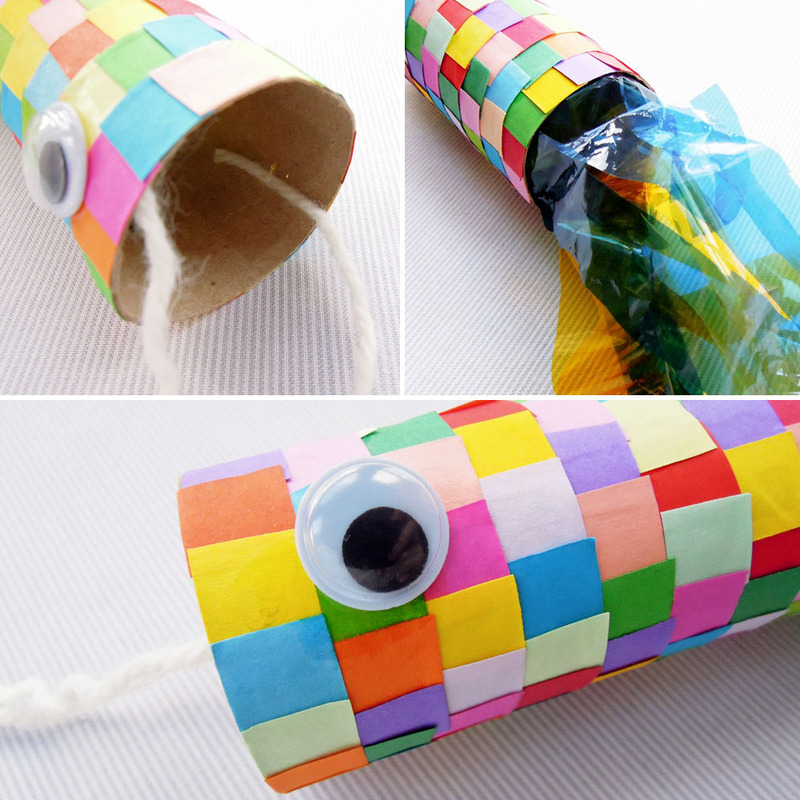 To make your very own school of fish you will need some empty toilet rolls, some wool or string, sellotape, glue, cellophane, googly eyes and coloured paper. 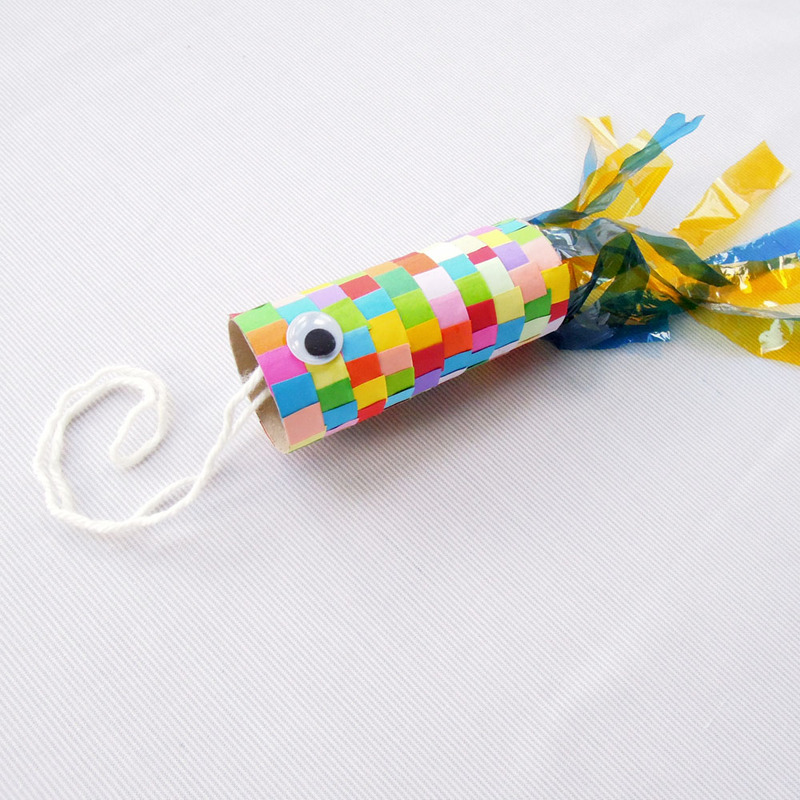 You can decorate your fish however you like, with paint or crayons, but I used small squares of coloured paper so that it looked like scales. To start, decorate the body of your fish. Make your fish as bright and colourful as you like! Next, stick two googly eyes in place at one end of the tube. Then using the sellotape, stick strips of cellophane inside the other end to make a beautiful tail. Lastly, stick a piece of wool or string inside the mouth of your fish so that he can be caught! To go fishing, simply find a stick to use as your fishing rod! If you fancy making your own school of fish then you can buy some useful supplies from Amazon. If you purchase anything through the links in my post you are helping to support my blog as I get a small referral fee from Amazon. Thank you! How lovely. Your fish are super-kawaii.